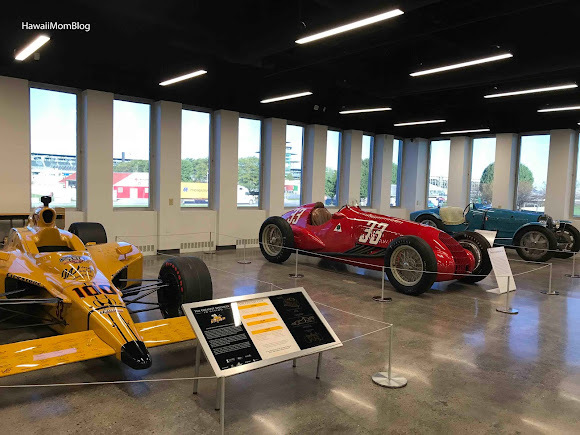 There was no way we could leave Indianapolis without visiting the Indianapolis Motor Speedway Museum. 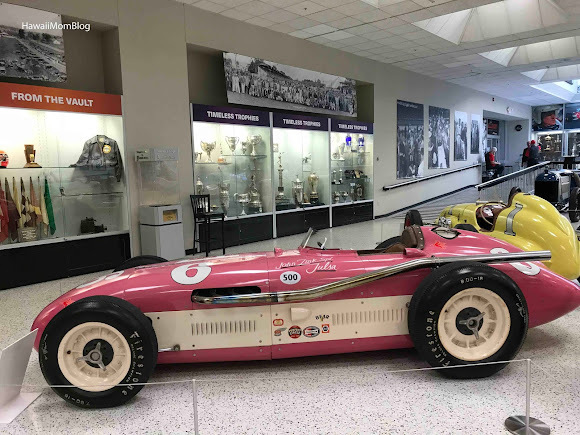 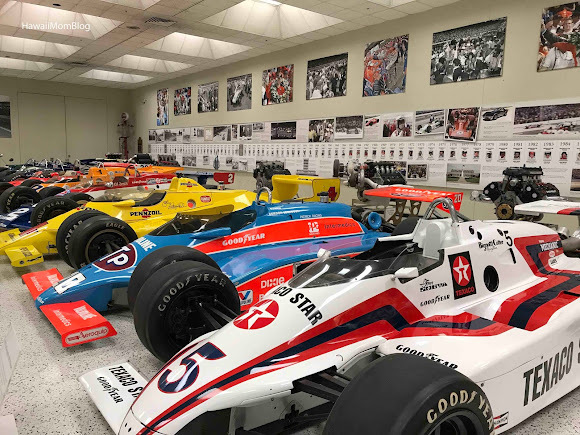 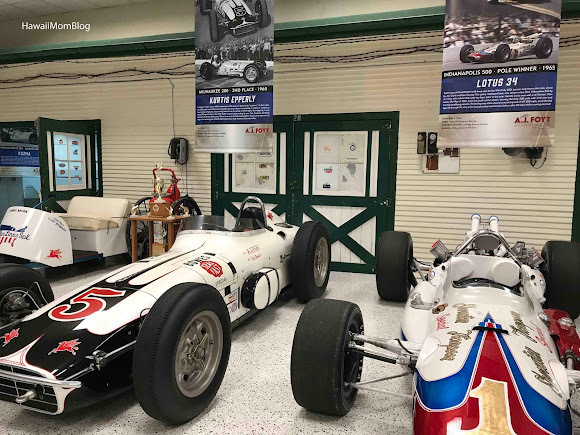 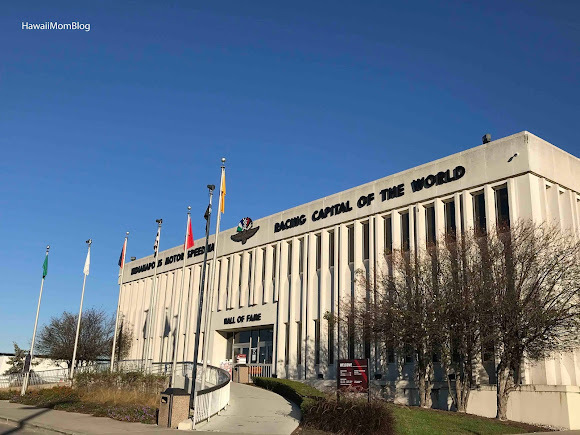 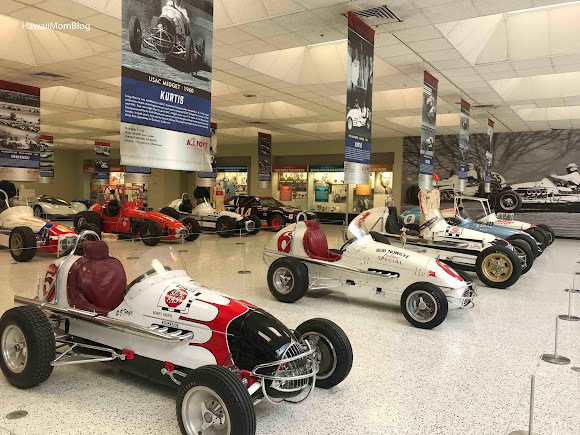 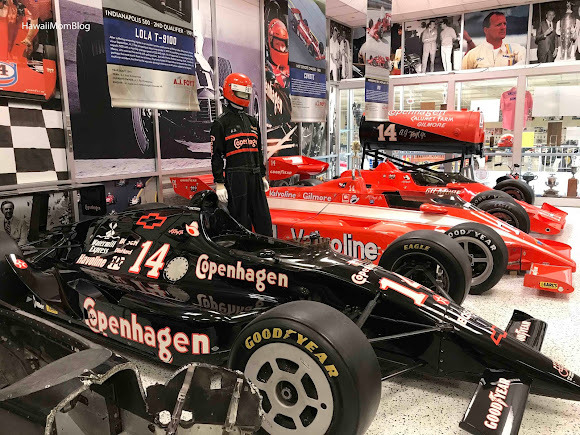 The museum showcases a number of race cars from IndyCar, NASCAR, Formula One, Sprint, Midget, motorcycle races, and drag racing. 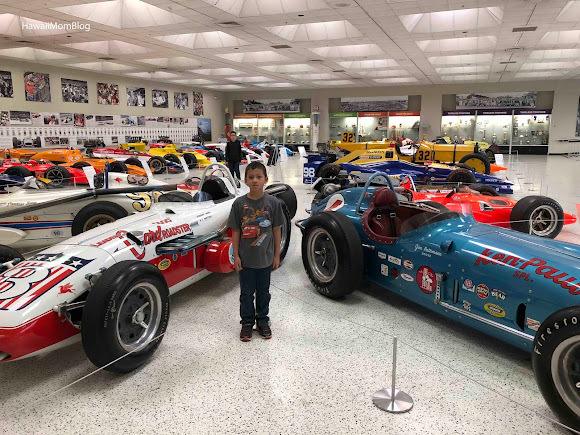 It was so neat to see all of the different types of cars and see how they evolved over the years. 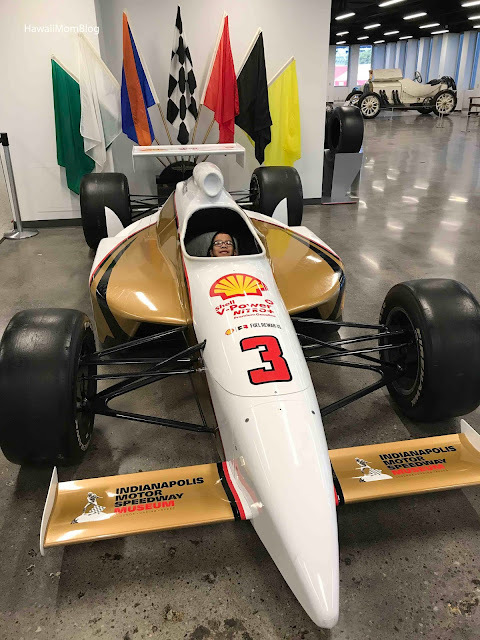 You can even take a photo op in a race car! 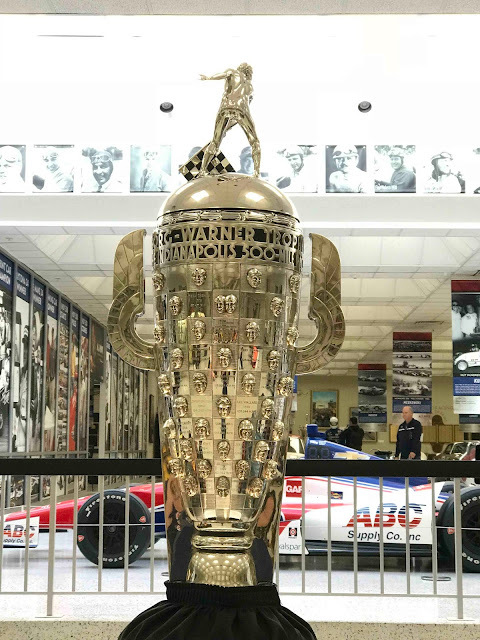 At the Indianapolis Motor Speedway Museum you can also view the Borg-Warner Trophy, which honors every single winner of the Indianapolis 500. After browsing through the museum, we went on a 30-minute Kiss the Bricks Tour. 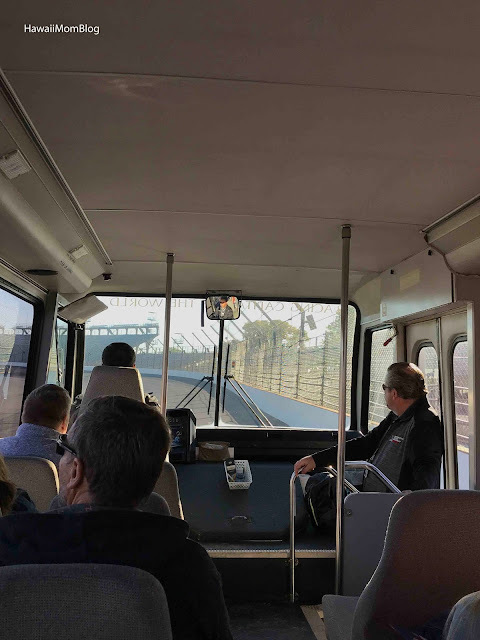 We hopped on a shuttle bus and took a lap around the International Motor Speedway! 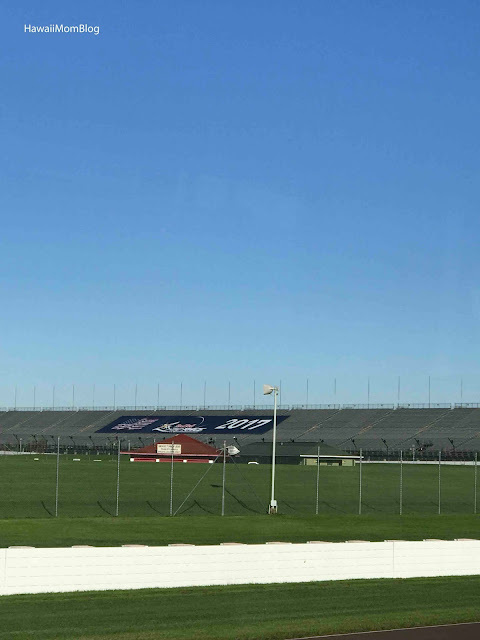 The narrated and guided tour was very informative, as we learned about different parts of the speedway. 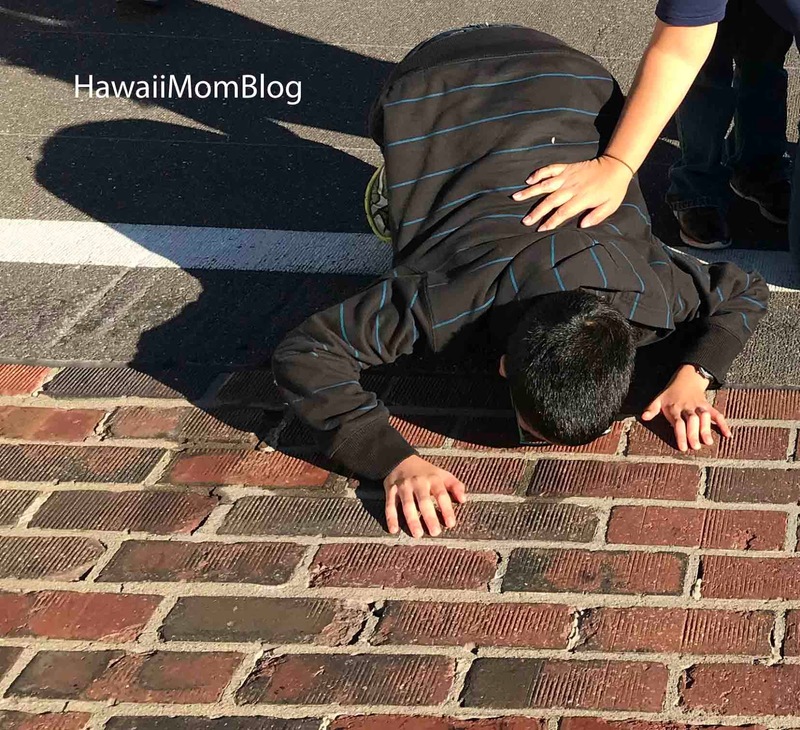 Midway through the tour, visitors have the option of getting off the shuttle bus to kiss the famous "Yard of Bricks." A 36-inch strip of the original bricks of the Indianapolis Motor Speedway remains at the start/finish line. 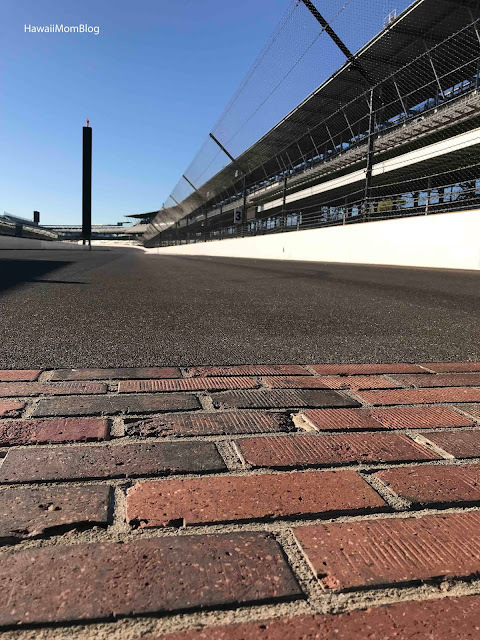 The "kissing of the bricks" began with NASCAR champion Dale Jarrett. 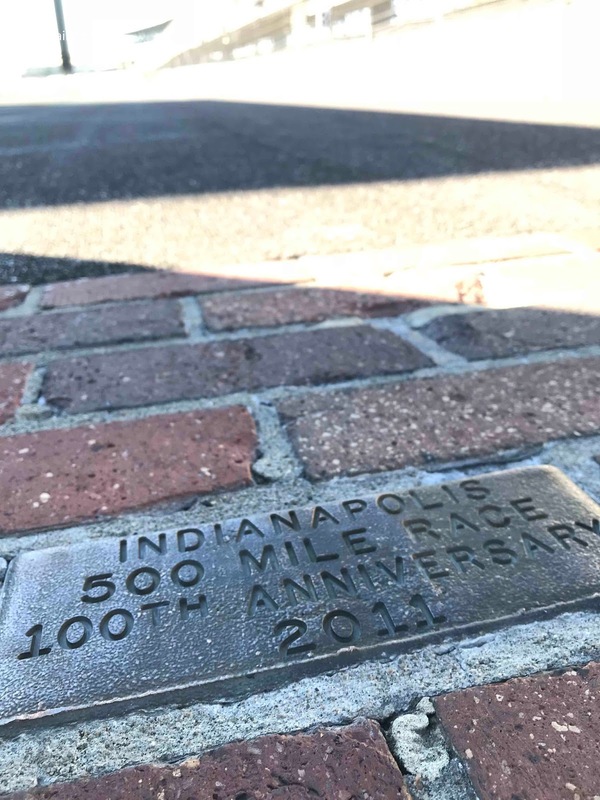 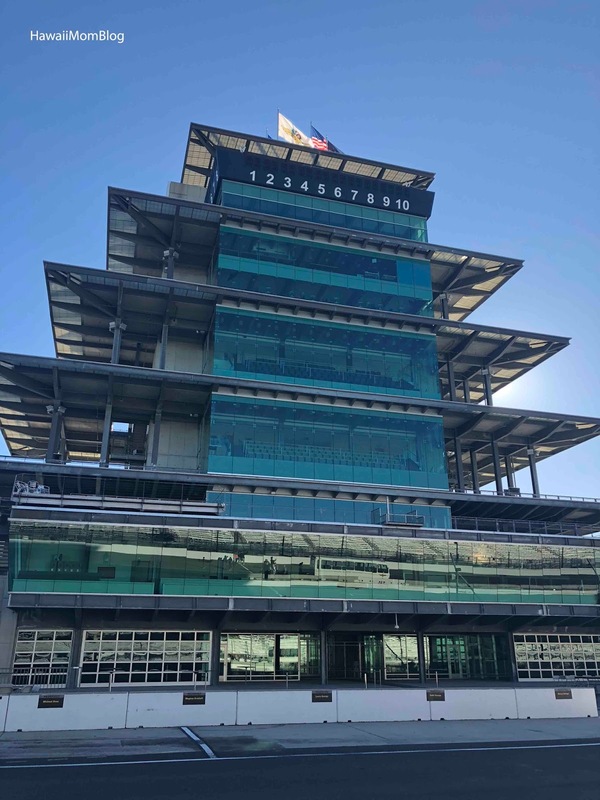 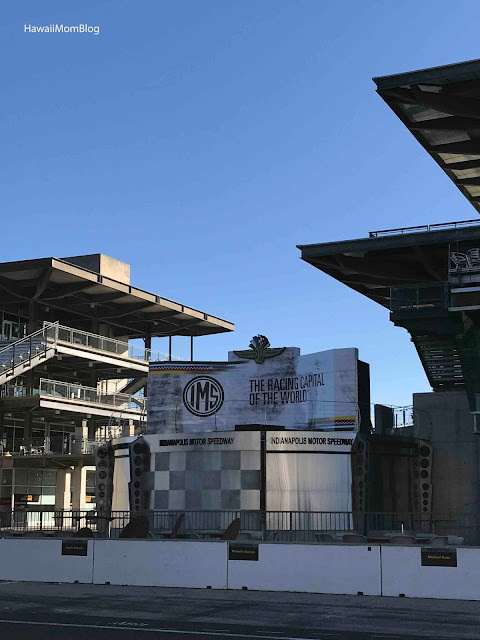 According to the Indianapolis Motor Speedway website: After his Brickyard 400 victory in 1996, Jarrett and crew chief Todd Parrott decided to walk out to the start-finish line, kneel and kiss the Yard of Bricks to pay tribute to the fabled history of the Indianapolis Motor Speedway. 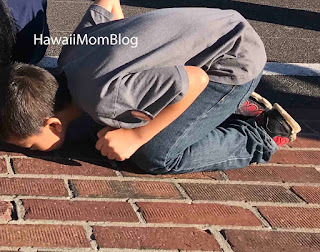 A tradition was born ever since! Of course we had to kiss the bricks ourselves! Kissing the Bricks was definitely a highlight of our visit to Indy! 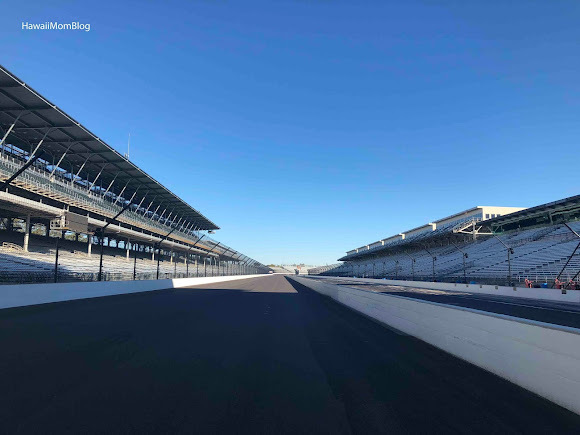 I hope one day we can experience an actual race at the Indianapolis Motor Speedway! 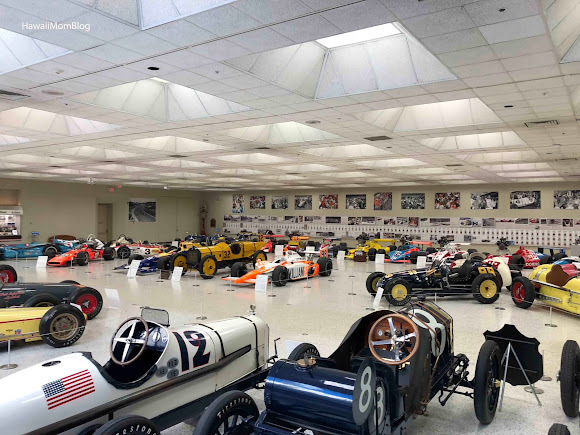 Our museum admission was hosted. 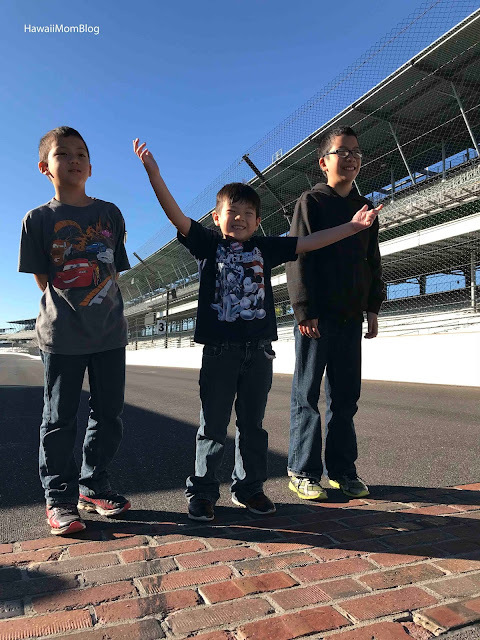 We paid for the Kiss the Bricks Tour on our own.